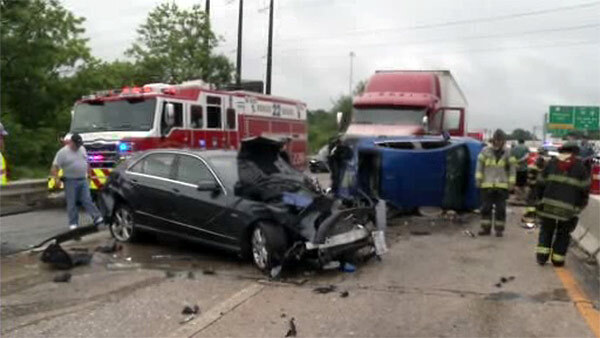 3 hurt in crash on I-295 in Wilmington, Del. NEW CASTLE, Del. (WPVI) -- Three people were injured after a crash on I-295 in Wilmington, Delaware. It happened shortly before 9 a.m. Friday near the I-495 split. Investigators say a tractor trailer rear-ended a car, causing a chain reaction collision in the westbound lanes of I-295. In the end, there were four cars and a second tractor trailer involved. One of the vehicle flipped over and caught fire. The driver that caused the crash was cited for following too closely.